NEW YORK CITY — The MetroCard is about to expire. 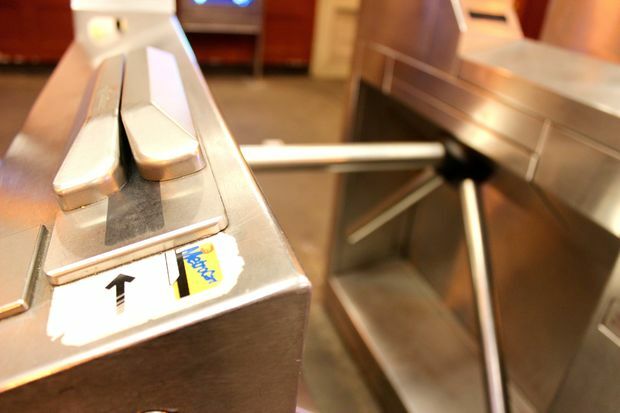 The MTA will roll out a "contactless" payment system while phasing out MetroCards starting in 2019, agency officials said at a Monday board meeting. The transit authority is expected to sign a $540 million contract with California-based Cubic Transportation Systems, Inc. to have electronic payments up and running at 500 turnstiles and in 600 buses by 2019. The electronic system will allow riders to pay for fares with a mobile app, a digital wallet, "contactless" bank cards or an MTA-issued "contactless card," according MTA officials. Riders will be able to use both MetroCards and "contactless" payment methods during the transition. All old equipment will be fully phased out by 2023, according to the MTA. Cubic Transportation Systems, Inc, which has installed electronic payment systems in mass transit systems in Miami, London, Vancouver, will be paid over a 12-year period, according to MTA board documents. The MTA's finance committee discussed the contract Monday, with the full board expected to vote on the plan at a public meeting Wednesday.